Professor Jodie McVernon is a physician with subspecialty qualifications in public health and vaccinology. She has extensive expertise in clinical vaccine trials, epidemiologic studies and mathematical modelling of infectious diseases, gained at the University of Oxford, Health Protection Agency London and The University of Melbourne. Her work focuses on the application of a range of cross-disciplinary methodological approaches including mathematical and computational models, to synthesise insights from basic biology, epidemiological data and sociological research. These models advance understanding of the observed epidemiology of infectious diseases and inform understanding of optimal interventions for disease control. Jodie’s PhD studies at Oxford, London on resurgence of Haemophilus influenza type b disease among vaccinated children directly informed UK immunisation policy. 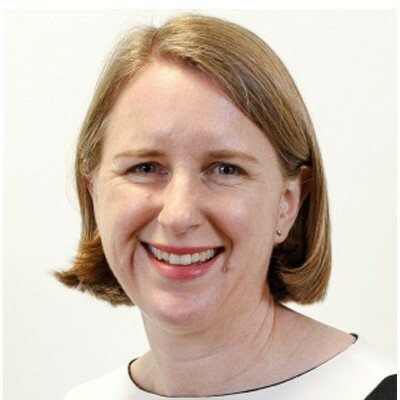 She returned to Australia in 2004 and went on to establish a Modelling and Simulation Unit at the Melbourne School of Population and Global Health, and since 2015, leads a nationally distributed National Health and Medical Research Council (NHMRC) Centre of Research Excellence in Infectious Diseases Modelling (www.prism.edu.au). Her unit’s work on influenza and pertussis has been translated into national and international infectious diseases policy through engagement with the Australian Government Office of Health Protection, the Australian Technical Advisory Group on Immunisation and World Health Organization. We collaborate widely with research groups in the Parkville precinct and beyond, including the Murdoch Children’s Research Institute (Melbourne), Menzies School of Health Research (Darwin), and the Telethon Kids Institute (Perth). With all of these partners we are engaged in a program of clinical, laboratory and public health research to inform healthy skin programs in remote Northern Australian communities. This work aligns with international collaborative efforts to reduce throat, skin infections and invasive bacterial infections due to Group A Streptococcus (Strep A), with associated sequelae of rheumatic fever and rheumatic heart disease. Core activities include contributions to State and Commonwealth Department of Health funded programs of research on influenza, undertaken within the WHO Collaborating Centre for Reference and Research on Influenza. We are engaged in responsive research partnerships with the Victorian Department of Health and Human Services (DHHS) to investigate drivers of seasonal epidemic diseases such as Ross River Virus and other arboviruses; and recent changes in the geographic distribution of Buruli ulcer. These latter projects are informed by an interdisciplinary ‘One Health’ approach that recognises the importance of understanding interactions between humans, animals and the environment.